February 5 is the 36th day of the year in the Gregorian calendar.There are 329 days remaining until the end of the year(330 in leap years). AD 62 (LXII) was a common year starting on Friday of the Julian calendar. At the time, it was known as the Year of the Consulship of Marius and Afinius. The denomination AD 62 for this year has been used since the early medieval period, when the Anno Domini calendar era became the prevalent method in Europe for naming years. 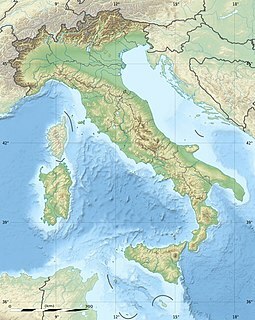 The 62 Pompeii earthquake occurred on 5 February 62 AD. It had an estimated magnitude of between 5 and 6 and a maximum intensity of IX or X on the Mercalli intensity scale. The towns of Pompeii and Herculaneum were severely damaged. The earthquake may have been a precursor to the eruption of Mount Vesuvius in AD 79, which destroyed the same two towns. The contemporary philosopher and dramatist Seneca the Younger wrote an account of the earthquake in the sixth book of his Naturales quaestiones, entitled De Terrae Motu. Emperor Sanjō was the 67th emperor of Japan, according to the traditional order of succession. Year 1321 (MCCCXXI) was a common year starting on Thursday of the Julian calendar. Year 523 (DXXIII) was a common year starting on Sunday of the Julian calendar. At the time, it was known as the Year of the Consulship of Maximus without colleague. The denomination 523 for this year has been used since the early medieval period, when the Anno Domini calendar era became the prevalent method in Europe for naming years. Alcimus EcdiciusAvitus was a Latin poet and bishop of Vienne in Gaul. His fame rests in part on his poetry, but also on the role he played as secretary for the Burgundian kings. Year 806 (DCCCVI) was a common year starting on Thursday of the Julian calendar. Ingenuinus or Ingenuin, also Jenewein, was the second historically confirmed bishop of Sabiona or Säben. He is venerated as a saint. Roger Williams was a Puritan minister, theologian, and author who founded the Colony of Rhode Island and Providence Plantations. He was a staunch advocate for religious freedom, separation of church and state, and fair dealings with American Indians, and he was one of the first abolitionists. Anne Hutchinson was a Puritan spiritual adviser and an important participant in the Antinomian Controversy which shook the infant Massachusetts Bay Colony from 1636 to 1638. Her strong religious convictions were at odds with the established Puritan clergy in the Boston area, and her popularity and charisma helped create a theological schism that threatened to destroy the Puritans' religious community in New England. She was eventually tried and convicted, then banished from the colony with many of her supporters. Adelaide, Abbess of Vilich (c. 970 – 5 February 1015, also known as Adelheid, was a German abbess and saint. She was the daughter of Megingoz des Brunharingen, Count of Guelders, and Gerberga of Metzgau, a granddaughter of Charles the Simple, king of the West Franks. Saint Agathaof Sicily is a Christian saint. Her memorial is on 5 February. Agatha was born at Catania or Palermo, Sicily, and she was martyred in approximately 251. She is one of seven women, who, along with the Blessed Virgin Mary, are commemorated by name in the Canon of the Mass. Saint Bertulf, O.S.B. was born in either Pannonia (Hungary) or Germany; he died in Artois in 705. He became a monk later in his life and founded a Benedictine abbey at Renty. ↑ Michael J. Braddick (2015). The Oxford Handbook of the English Revolution. Oxford University Press. pp. 128–. ISBN 978-0-19-969589-8. ↑ Stoica, Vasile (1919). The Roumanian Question: The Roumanians and their Lands. Pittsburgh Printing Company. p. 69 – via World Digital Library. ↑ Boia, Lucian (2001). Romania: Borderland of Europe. Reaktion Books. ISBN 9781861891037. ↑ 30 Days in the Church and in the World. Italcoser Corporation. 1996. Wikimedia Commons has media related to February 5 .